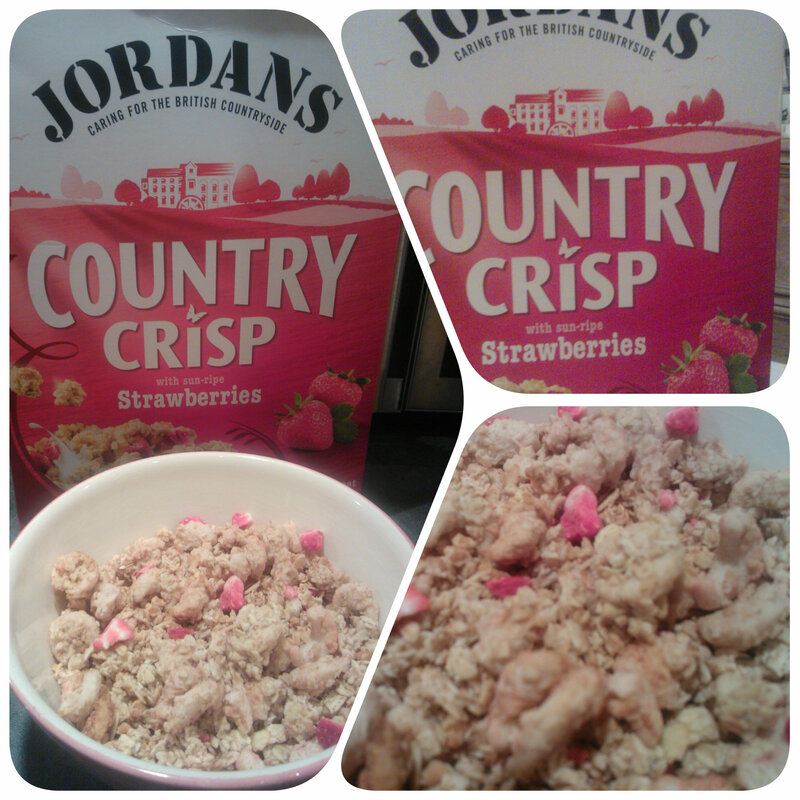 Jordans Country Crisp Strawberries is an oat baked cereal, consisting of crunch oat clusters, mixed with chopped hazelnuts and strawberries. My husband being an avid cereal fan, couldn’t wait to get stuck in! I know from previous experience that the Jordans crunchiness can be addictive and this Strawberry version didn’t disappoint. This cereal is crunchy, moreish and interspersed with strawberry bites that give it a tasty, indulgent texture at every bite. This cereal was a hit with us and enjoyed by all. We decided to make some Crunchy White Chocolate Bites with the cereal using melted white chocolate mixed in with the cereal. Miss M who is 6 was the chief mixer and excitedly mixed it up and spooned the mixture into little silicone cases. We let them chill in the fridge for a couple of hours before serving them with fresh strawberries! The whole family enjoyed these bitesize snacks and they are perfect for pack lunches too! Why not have a go at making some yourself – a quick little baking activity for the school holidays! 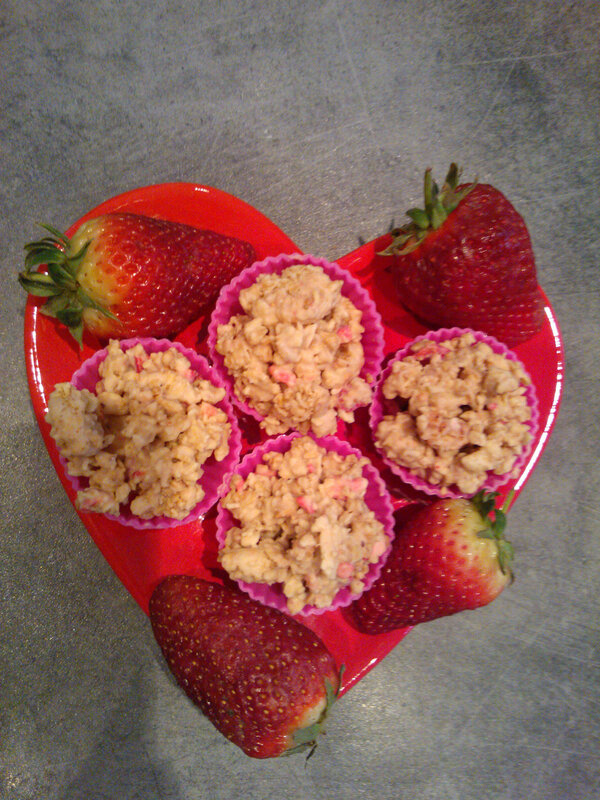 This entry was posted in Reviews and tagged cereal, country crisp, jordans, strawberries, white chocolate by Fiona Martin. Bookmark the permalink. They look lush! Loving it already! I love strawberry cereal but I’ve not tried Jordan’s yet – those white chocolate bites look absolutely fantastic though! I do love the Jordans cereals. Your crispy cake bites look delicious! These look lovely, and I love jordans cereal. It just doesn’t last long enough in our house for me to use it for crispy cakes!